Column: Can Tiger Woods still win the Masters at 43? 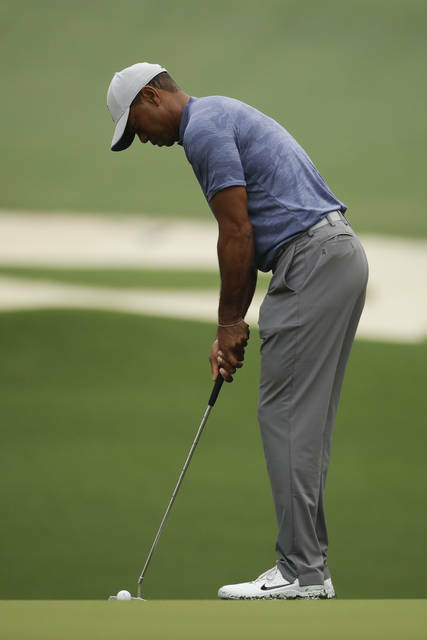 AUGUSTA, Ga. (AP) — Tiger Woods had the putting green pretty much to himself as storms approached Augusta National on Monday. As a handful of fans lingered to watch, he stroked the 5-footers that always seemed to go in during his prime. It’s been 14 years since enough went in to win on the fabled greens of Augusta National. Even more startling, it’s been 11 years since Woods won a major of any kind. His believers — and there are legions of them — are hopeful that might change this week, if only because optimism is always at its peak before the first tee shot is hit. The old Tiger may not be fully back, but the prevailing thought is there’s enough of his greatness left to fit comfortably inside a green jacket come late Sunday afternoon. Count Woods among the believers. Indeed he has, with four green jackets stitched with his name. That’s a haul that by itself qualifies him as one of the greatest players ever, though it is two short of the collection won by Jack Nicklaus. But it isn’t what Woods or anyone else expected after he won his first four in just nine years. Nicklaus himself predicted that Woods would win 10 green jackets on his way to obliterating Nicklaus’ record of 18 major championships. The reasons Woods hasn’t, of course, have been well documented over the years. 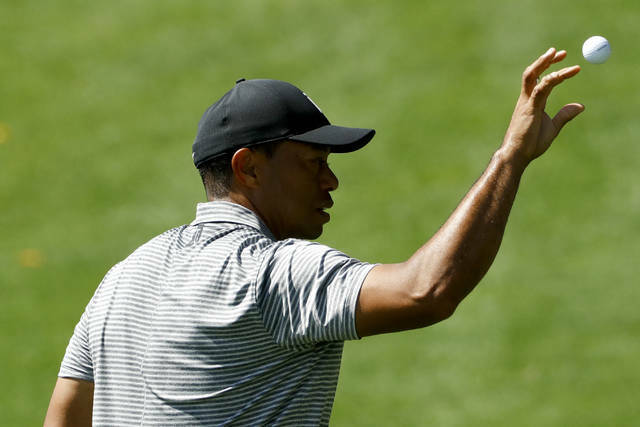 But a victory in the Tour Championship last year not only showed he can still compete and win at the highest level but gave Woods some sorely needed confidence heading into the first major of the year. Indeed, whether he can do it at the place he first put his stamp on the game with a runaway victory at the age of 21 remains a question that Woods probably can’t answer until he’s done it. He’s 43 now, something that comes into focus when he removes his hat and his bald spot seems bigger than ever. That’s ancient in most sports but not terribly out of place in a tournament Nicklaus won at the age of 46 in 1986. As if to prove it wasn’t a fluke, Nicklaus was contending for the lead on the weekend a dozen years later before settling for sixth place, a feat that was almost as remarkable as his sixth win. Augusta National has changed since, lengthened first to make it Tiger-proof and then again when the green jackets running the place realized the new generation of players can all bomb the ball incredible distances. But it still rewards those with a great short game and those who can putt the slippery greens under pressure. 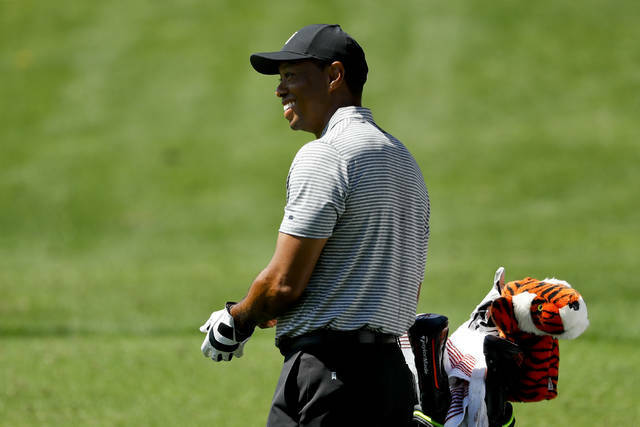 And that remains problematic for Woods, last seen on national television missing a short putt to lose to little-known Lucas Bjerregaard with a berth in the semifinals of the Dell Technologies Match Play tournament last month. Wear and tear is an issue for any older athlete, and Woods is no exception. Though finally able to swing freely after back surgery, he says he can’t put the kind of time in on any part of his game that he once did. But on Tuesday, he was at his usual spot at the end of the driving range, working his way through every club in the bag. He took his time between shots, and at one point put his club down and went to talk to Kevin Kisner a few spots away and then to look at Bryson DeChambeau hit shots with his single length irons. Woods shares a prime late-morning tee time on Thursday, playing with Spain’s John Rahm and China’s Haotong Li, both of whom were a year old when Woods won his first pro tournament in Las Vegas in 1996. With age, though, comes wisdom. And as Nicklaus showed in his late career performances, knowing where to play shots and where to miss them at Augusta National is half the puzzle of winning. “I’ve got a pretty good little library in my head of how to play the course,” Woods said. That library will be open for business as Woods begins play in his 22nd Masters. He’s not the favorite — Rory McIlroy has that honor — but he’s in a group of players who are among the favorites. Can he win? Of course, because even at 43 he’s still got plenty of game to compete. Well, there’s a reason he’s been spending a lot of time practicing 5-footers.